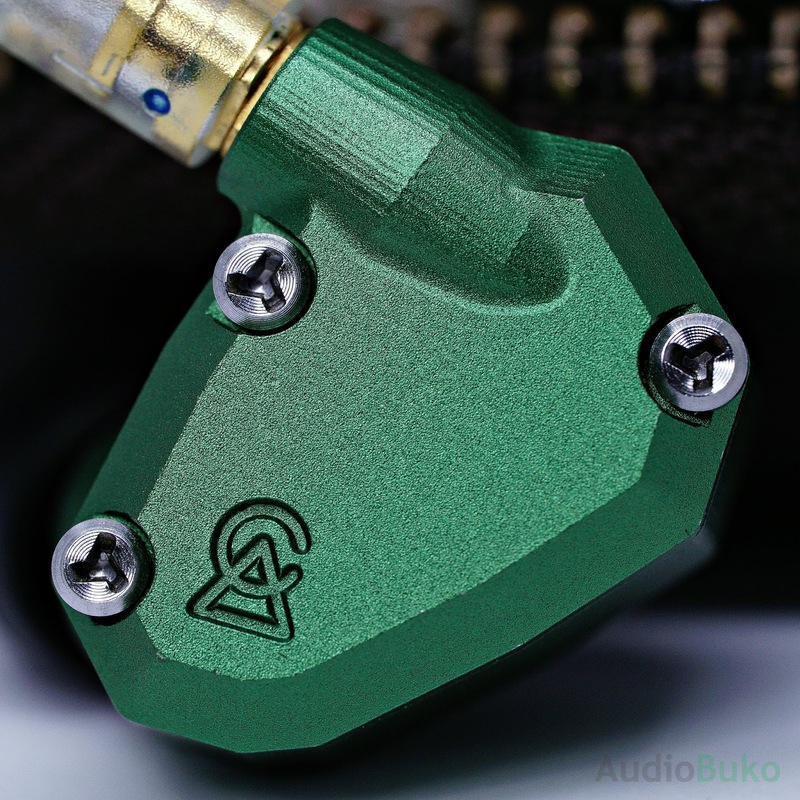 Introduction: Campfire Audio is a well known audio company that produces great IEMs (and now a headphone too) and has gained even more fame with their recent 3 big ear turners, the Cascade, Comet and Atlas. Of course we're not talking about those now (I could probably review the Comet at least at a later time, if my budget allows it) as you can see with the first picture and the obvious title, we're talking about the mean green machine known as the Andromeda. I've had the Andromeda for a long time but have skipped reviewing them because a lot of people have done so before. And yet as each new Campfire Audio product comes to light, I feel the urge to tell the world that the Andromeda is still here, it's still relevant and still pretty in green. Please note that I won't be as exhaustive as I normally am since a lot of the nitty gritty details have been tackled awhile back. 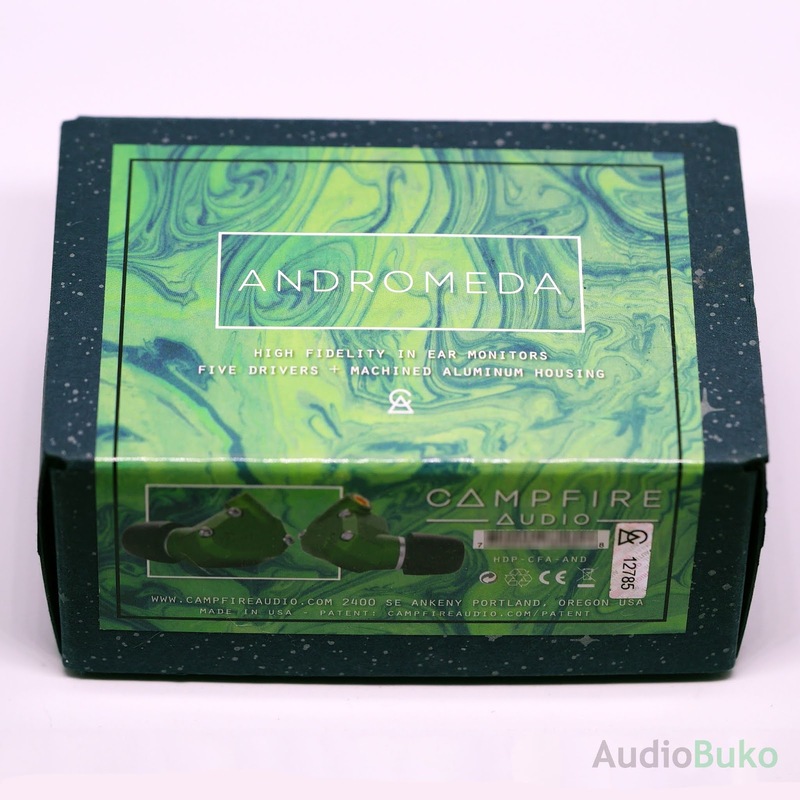 Unboxing: One of the things I love with Campfire Audio is their minimalist boxes, everything fits in a compact space that's pretty and functional (and recyclable) though the material isn't the sturdiest, the cardboard holds up well through handling and age. Build/Fit/Design: The Andromeda follows the shell design of the Orion, Polaris and Jupiter where the shell is CNC'd into the sturdy industrial/angular shape you see in the picture. The thing with the shell, some people cannot fit it comfortably due to differences in ear shape and size though it fits me like a glove and for that it gets my thumbs up on fit and comfort, with the right tip, the Andromeda can sit in my ears for hours on end. On a parallel note, it annoys me to a certain degree that the look and color was copied by a certain IEM company and is nearly constantly mistaken for the K.O. even if the Andromeda uses a Beryllium MMCX connector and the other one is a 0.75mm 2 pin connector. 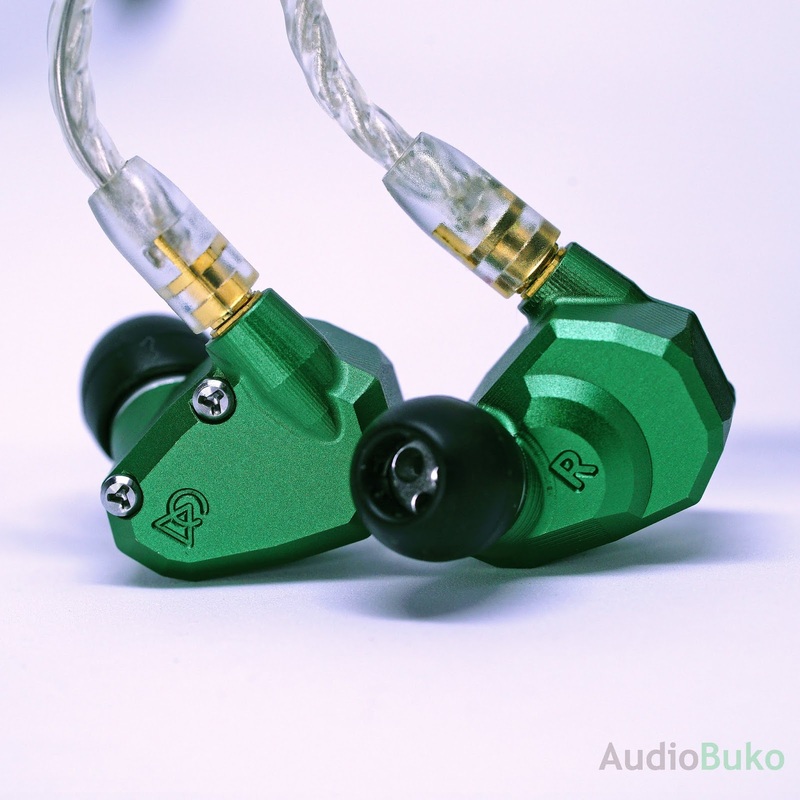 Still, for me, it's a good and memorable design and yeah, the color is just perfect (Yes, I love green) as it both looks and feels good in hand and in my ear. 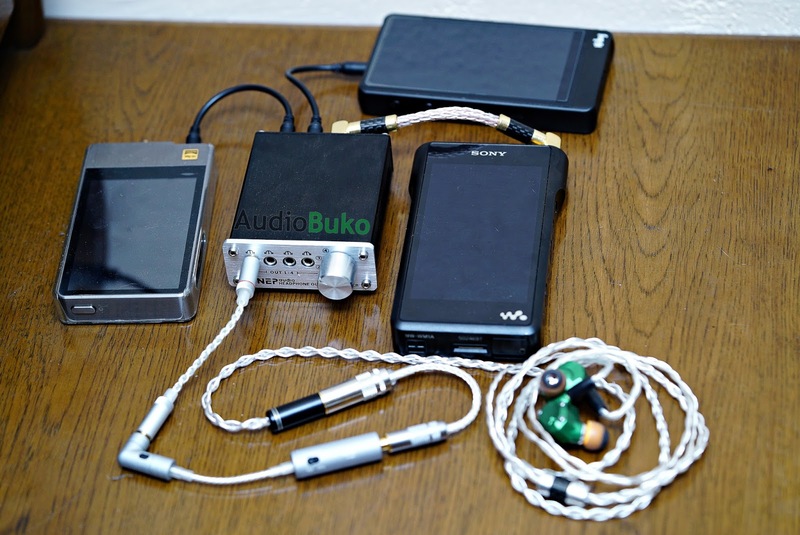 Cable: The included cable is the much lauded Campfire Audio clear SPC Litz cable, with a 3.5mm L-plug with the Campfire Audio logo on the top, a metallic Y-splitter with a plastic chin adjuster and terminating in a Beryllium MMCX jack. The cable itself is thin, light and very flexible, this was the first time I've ever experienced such flexibility and simple beauty in a cable. 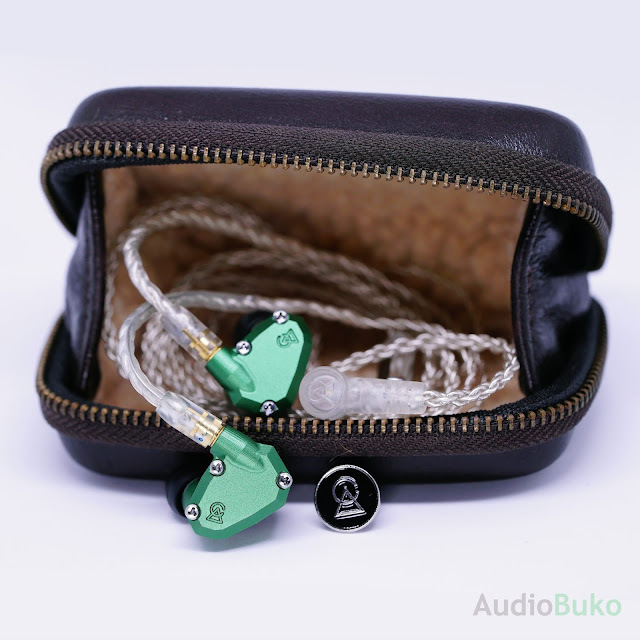 Sound Stuff: When my wallet was ready for a good IEM, I sampled a lot with varying prices, brands and designs and in the end my ears decided on the Andromeda. Out of the box it was exactly what I wanted paired with my WM1a, easy to drive, a bit of warmth, nice bass, good mids and pretty highs! After a long, long time of listening to these babies, the following is what I've been hearing using the stock cable and the WM1a on v2.0 firmware. Note that due to the low sensitivity, the Andromeda can demonstrate a low hiss, though this has not been the case for me with my DAPs or phones. Lows: The Andromeda presents a good amount of sub-bass, extension and great bass separation. Low rumbles sound natural and smooth with moderate impact and fast decay, this leads to an overall clear bass resolution. Mid Bass has a good amount of body and delivers a balanced slam that's neither aggressive or weak, coupled with a warmth that makes for a great musical experience. Mids: The mids on the Andromeda is one of it's strengths as vocals and instruments are neutrally placed and presented in a very clear and detailed manner where layering of instruments and vocals are easily identified in a wide open space. Even with all that clarity, there is a lot of body and smoothness in it's rendition giving sweet life to both male and female vocals in whatever genre you play. Highs: are one of the other strengths that the Andromeda packs, there is a great amount of extension and airiness that doesn't lead into harshness or sibilance as there is great control in this area. The body of the treble is full on with each note being crisp, detailed, smooth and well separated. The highs effectively convey the emotional energy needed for each track without being fatiguing. Soundstage: is probably the best known feature (here) of the Andromeda with a generously wide soundstage that gives you a realistic and natural feeling of width and depth on each track that is both spatially accurate and positionally correct. Conclusion: So easy to love, the Andromeda captured my ears and heart then and it still does today. It is in my book, a compelling choice for audiophiles that want a piece of the high end without gutting your wallet (too badly) bonded with a sound signature that will please nearly anyone that doesn't require enormous amounts of bass in every song with its warmth, detail, clarity, technical proficiency and large soundstage. The Andromeda is my winner. Pros: Warmth that doesnt overwhelm, great overall clarity and detail, sparkly and airy highs, great soundstage and layer separation. 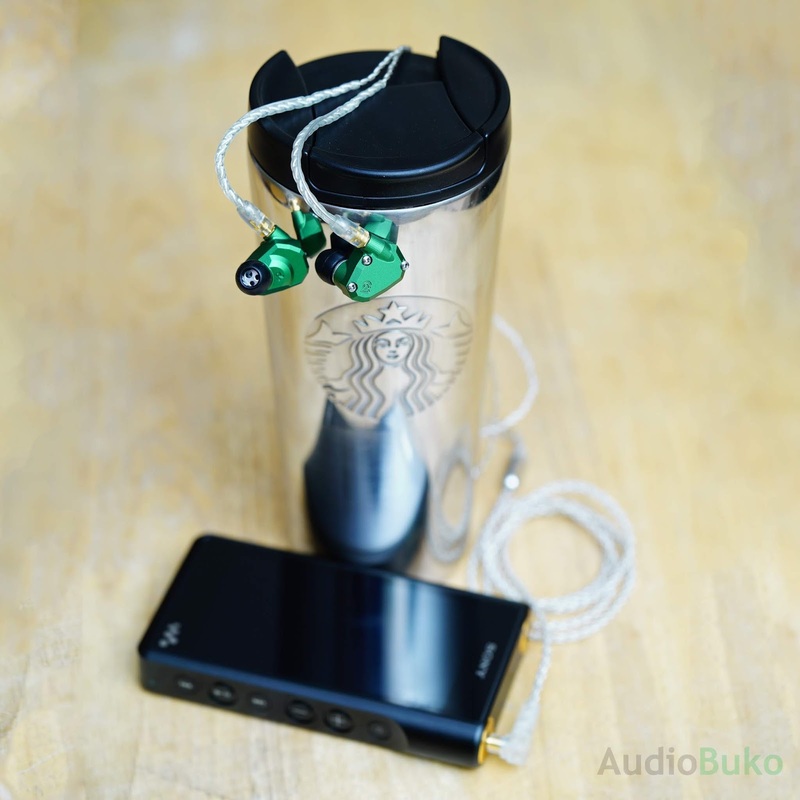 Great build quality, fit is comfortable (though some may disagree, experiment with tips), accessory package and cable is good. It's Green. 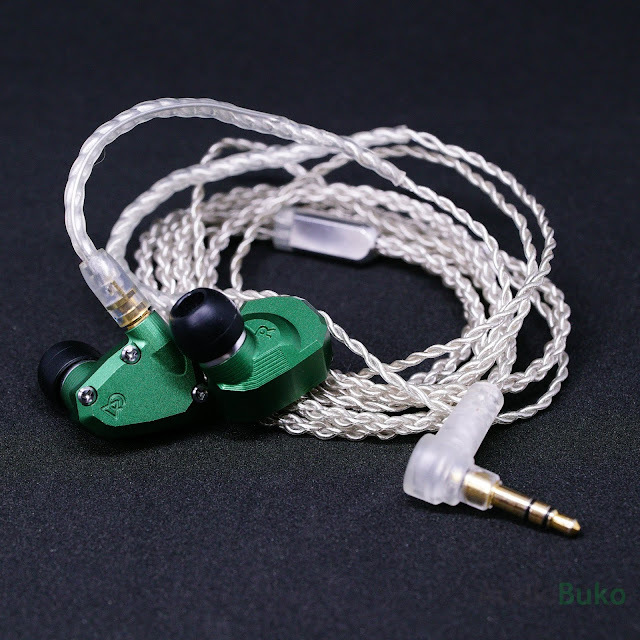 Cons: Maybe a bit more bass kick wouldn't hurt, no option to choose what termination (2.5mm, 3.5mm, 4.4mm) comes with it, at flagship levels, I believe that it should be a valid option. Nitpicks: None comes to mind.